Party hats and blow horns can be fun for kids but it might not be enough and they could still feel left out of the main celebration. The following list contains a few ideas to make your Chinese New Year celebration especially fun for kids. As you probably know, the Chinese New Year is celebrated by over 20% of the population of the world. This is the most important holiday in China and many people across the globe enjoy the celebration, also known as the Spring Festival. Although the festival is still in the winter season, the holiday marks the end of the coldest days and what it brings along harvests and fresh starts. 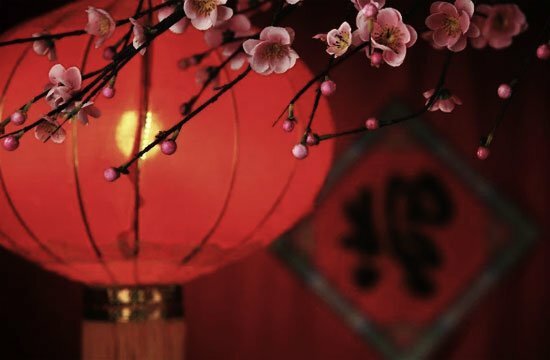 Chinese lanterns are decorated with the words “Spring Festival” and are used to embellish homes and streets. In North and South Korea and Vietnam, they celebrate it as well and it’s called Lunar New Year. The date for the Chinese New Year is not fixed because it goes according to the Lunar calendar, which is why the Chinese New Year ranges from January 21 to February 20. But in 2019, it occurs on February 5th. Although modern Chinese calendars use the Gregorian calendar, they include lunar holidays. The lunar calendar is rather important in China and although it has been officially moved to the Gregorian calendar like the rest of the world, the traditional holidays and days such as the Winter Solstice are celebrated. The Chinese New Year was originally a ceremonial day to pray to gods for a good planting and harvest season, and food offerings are made to the ancestors of each family with this purpose. The myths around the celebration are also rather interesting and according to one legend, there was a monster named Nian who came every New Year’s Eve. Most people used to hide in their homes but a brave boy fought him off using firecrackers. The next day, people celebrated their survival by setting off even more firecrackers. And that practice became a crucial part of the Spring Festival. To make the event more fun for your children, aside from sharing the special treats of the celebration with them and giving them lucky money in red envelopes, plan activities for the whole family to enjoy together, like decorating lanterns, checking out the parade, preparing traditional desserts together and enjoy the fireworks.